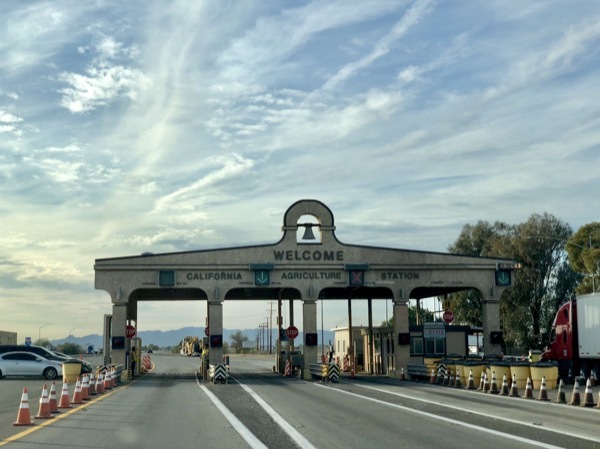 A few months ago, my husband mentioned that it might be fun to drive from Ohio to our home in California. 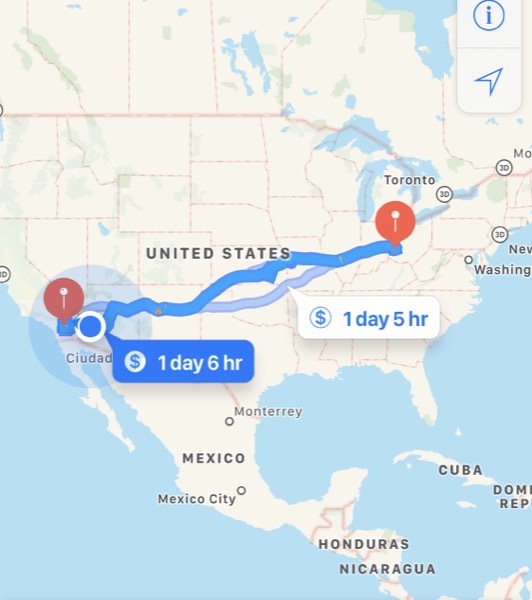 He had never driven across the country and it was on his bucket list. 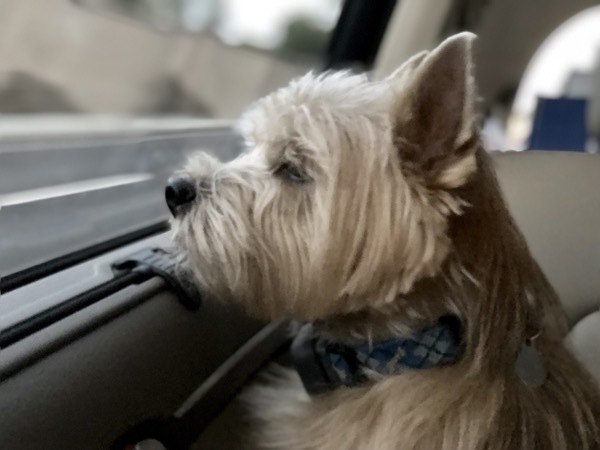 Driving 2,312 miles in a car with a dog was never on mine. But as time passed I warmed to the idea. I had never been to many of those states and if we took a slight detour we could stay with one of my favorite cousins in Wichita. So off we went. We were supposed to leave the next morning at the crack of dawn, but the dire warnings of approaching winter storm Avery made us change our plans. 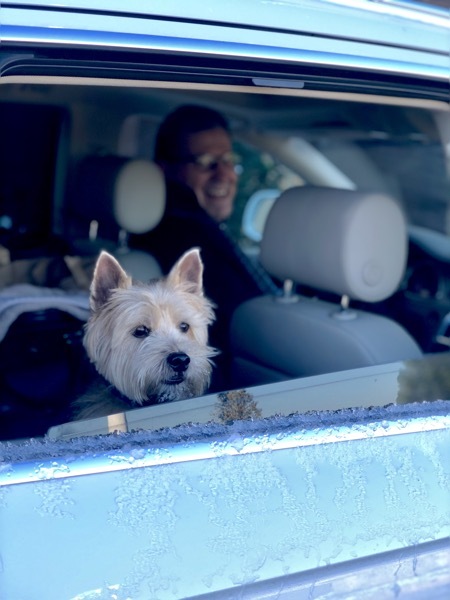 After work, we hurriedly packed our car and set out for eastern Missouri trying to outrun the forecasted ice and snow. Our luck ran out in St. Louis. Cars and trucks flew into ditches. The snow was so heavy our windshield wiper broke. My husband pulled over in a truck pull-off and in the pitch black miraculously fixed it as I held a flash light in the blinding snow. At 1am, famished and exhausted, we rolled into our hotel in Columbia, Missouri. That was day one on the road with Willie! My husband and I were excited to sleep in. 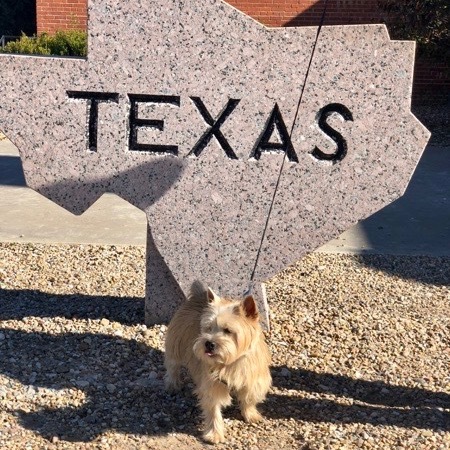 Our Norwich terrier had other plans. 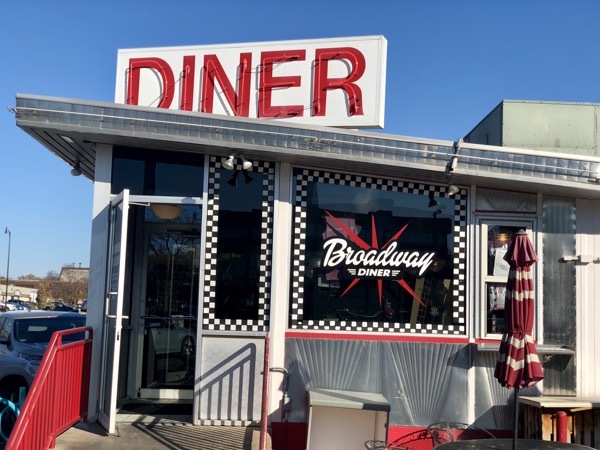 We roused ourselves out of bed and had an awesome breakfast at the Broadway Diner on 4th Street in Columbia, MO. The breakfast platter at our shared table with Carl and Deb tasted like heaven. 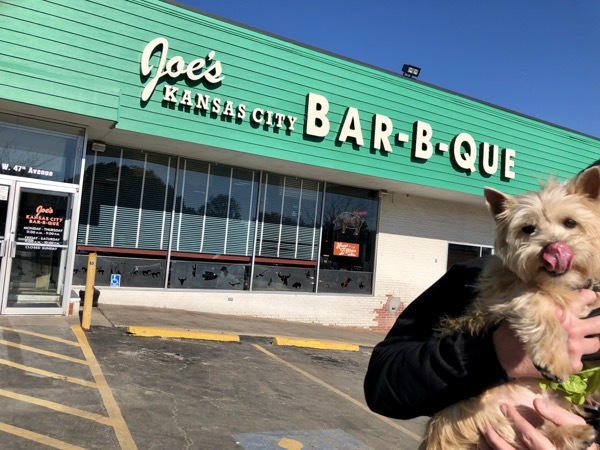 A couple hours later we pulled off I-70 and 35 for lunch at Oklahoma Joe’s in Kansas City. 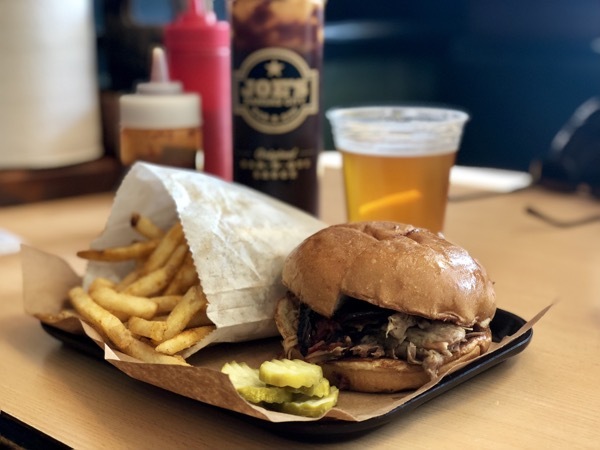 The pulled pork did not disappoint. I tried to shake off the food coma as we approached my cousins’ home in Wichita. Boy is Kansas flat! As we drove into Oklahoma City and onto I-40 our GPS announced, “stay on I-40W for next 513 miles”. One could almost see Albuquerque from there. 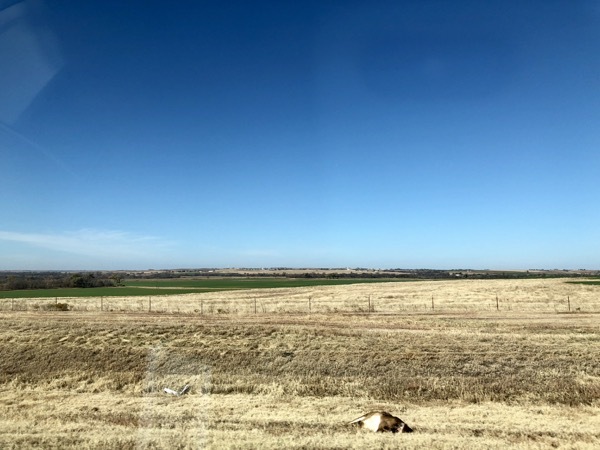 The highlight in western Oklahoma- a tumbleweed crossing I-40 while “She got the goldmine and I got the shaft” played on the radio. 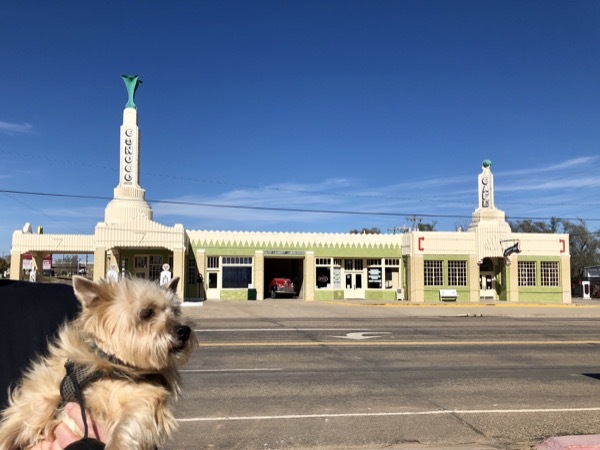 Our adventure continued as we hit the sights on old Route 66. We dropped in at the U Drop Cafe and Tower Station in Shamrock Texas. 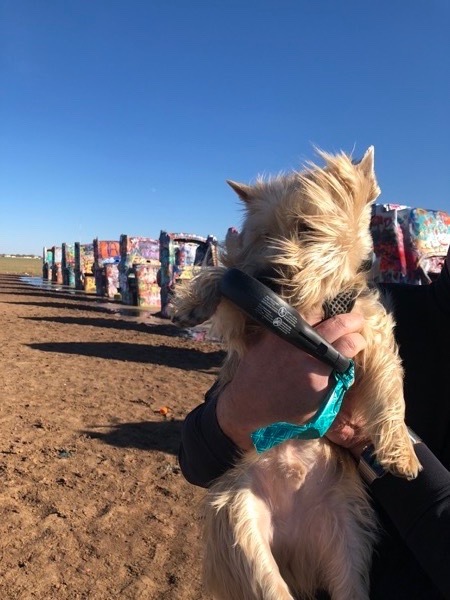 Then to the Cadillac Ranch in Amarillo. Where Willie almost blew away. 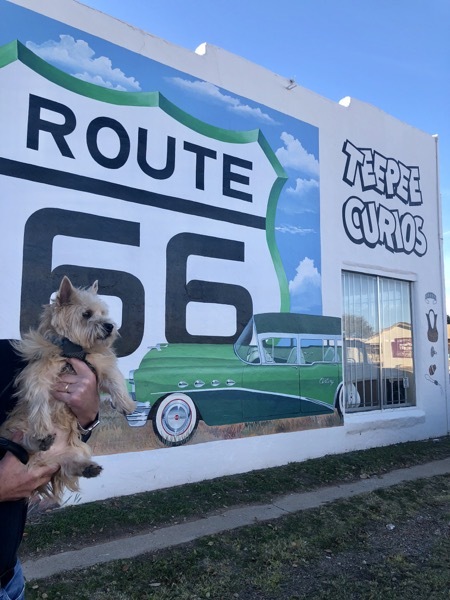 We paid a visit to Tee Pee Curios in Turcumcari, New Mexico so Willie could do a little Christmas shopping. Excited to have dinner at the Frontier Diner in Albuquerque, we pulled into our hotel and the valet drop-off looked like the entrance to a monster truck expo. Turned out the hotel was hosting a national contractors’ convention. They said they would try to squeeze our car in somewhere but that we couldn’t take it back out that night. 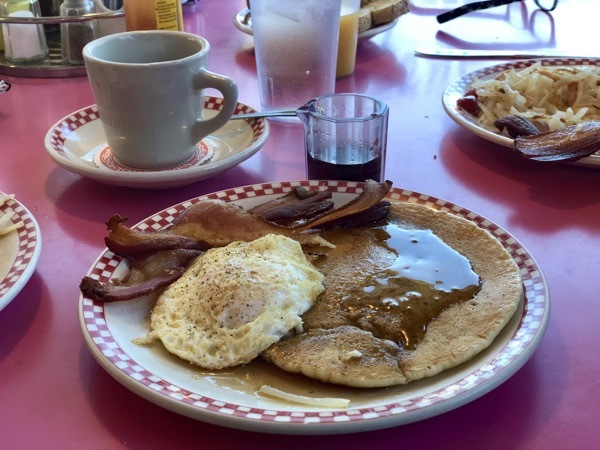 Sadly, we missed having some authentic New Mexico fare. Another time! 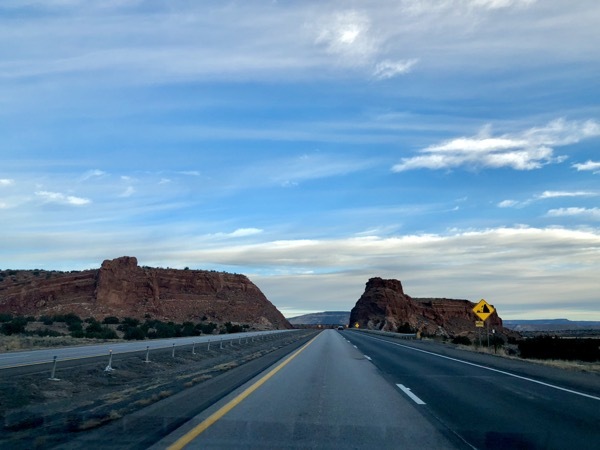 We were on the road before sunrise, greeted with stunning and desolate views of the buttes going west on I-40. 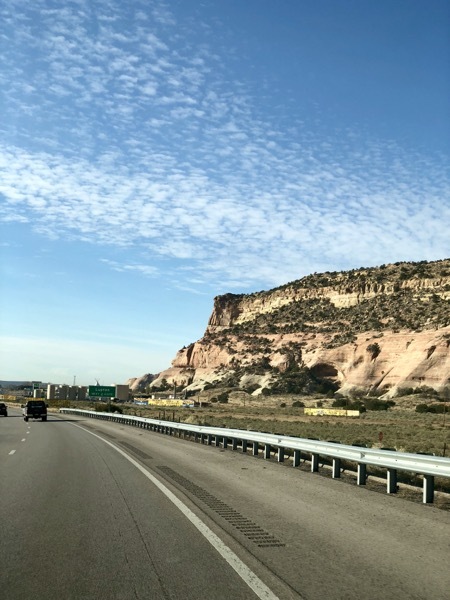 Don’t leave Albuquerque without a full tank of gas and a trip to the restroom! At 8am we passed through the Continental Divide. 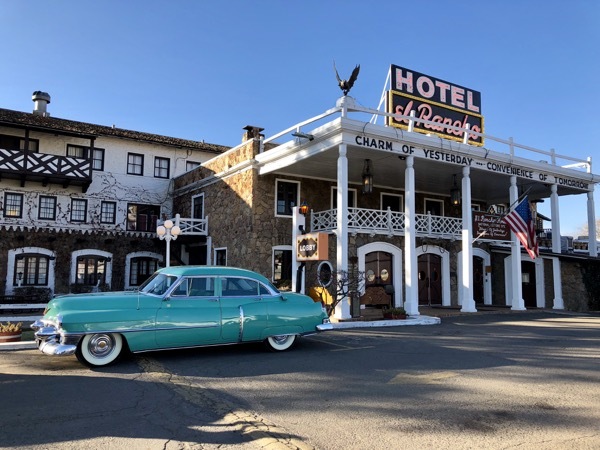 We pulled into El Rancho Hotel in Gallup. 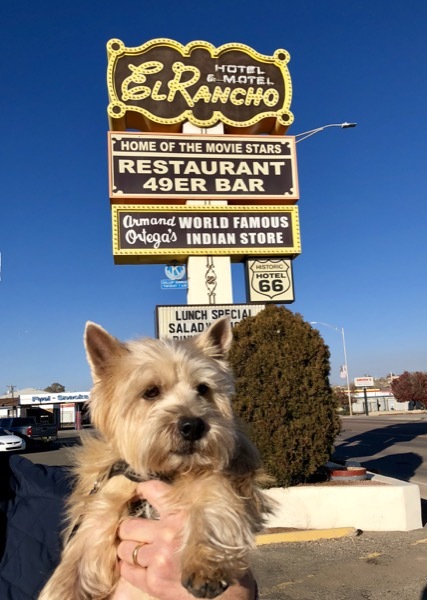 Willie thought for sure they’d want to put his picture on the wall of this historic lodge with all the other B-rated stars and starlets from the 40’s and 50’s. 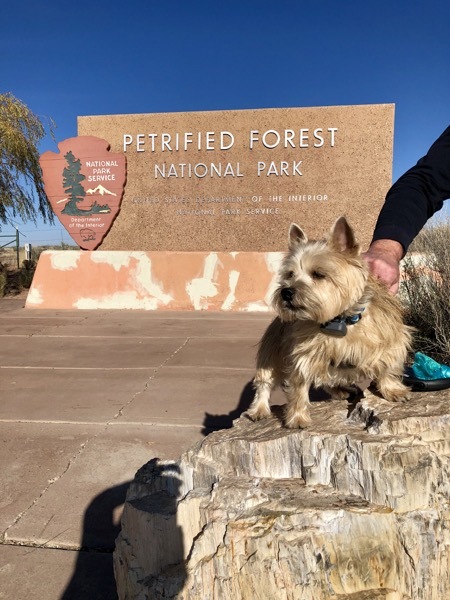 On our way to Flagstaff we stopped at the Petrified Forest National Park where Willie copped a pose. What a gorgeous trip down I-17 toward Phoenix. It was incredible to see all those pine trees replaced in what seemed like a snap of the fingers to cactus for as far as the eye could see. Then it was onto the 10 toward our desert home. While I was more than a little reluctant to embark on this cross-country trek, I must say I had an absolute blast. My appreciation for my two car-mates deepened exponentially. It hit home, once again, that the point of this life is to spend quality time with those you love. And that we should seize those moments whenever, and wherever, they arise. 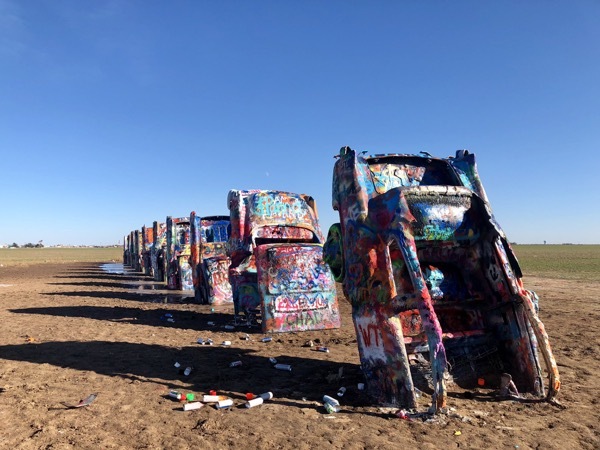 Ten states in three and a half days… this too, proved to be a trip of a lifetime. Sandy: This is really great! Everyone should do this once in their lives. All the best, Clay. Sandy -- I laughed out loud so many times reading this -- and then at the end my eyes filled with tears. I feel exponentially lucky to have you as a friend. Thank you for all the pics of sweet Willie. He's an absolutely perfect model and his demonstrations of your stories are ON POINT! Especially the picture outside of the Kansas BBQ joint. OMG - it's too much!!! Love you all so very much!!! Wonderful! Did a drive from MA to CO with my daughter a few years back and it was memorable and fun. Love the photos Sandy.